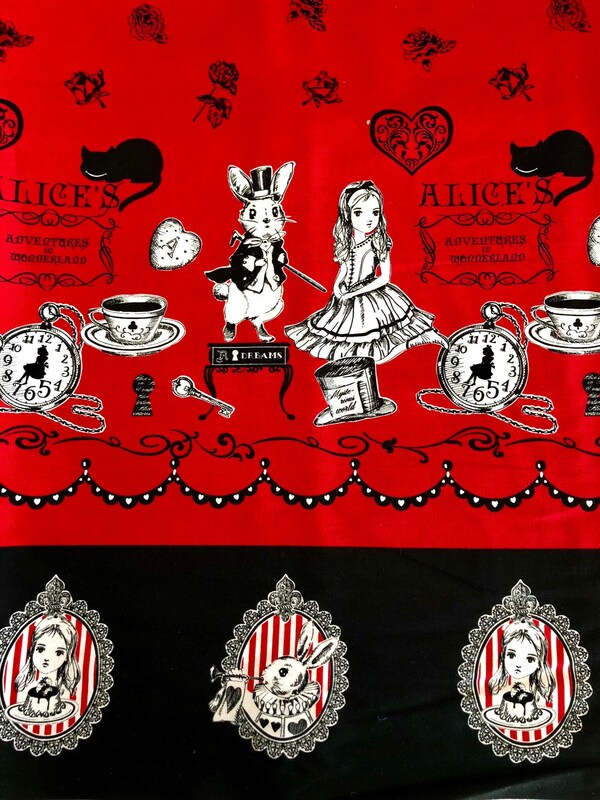 We are listing for sale a half metre of Judie's Cotton Alice in Wonderland Red and Black Single Border by Lecien. If you order more than one half metre, continuous yardage will be cut. 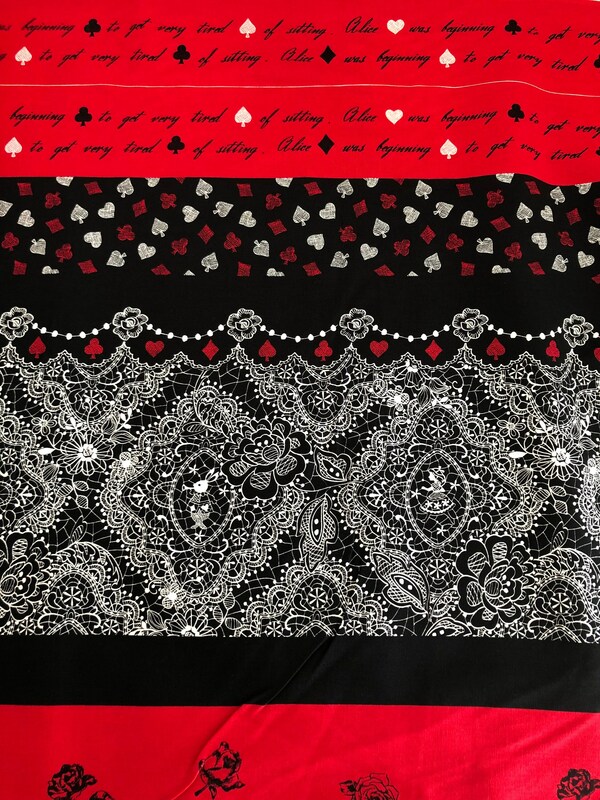 (If you order 2, a metre will be cut).